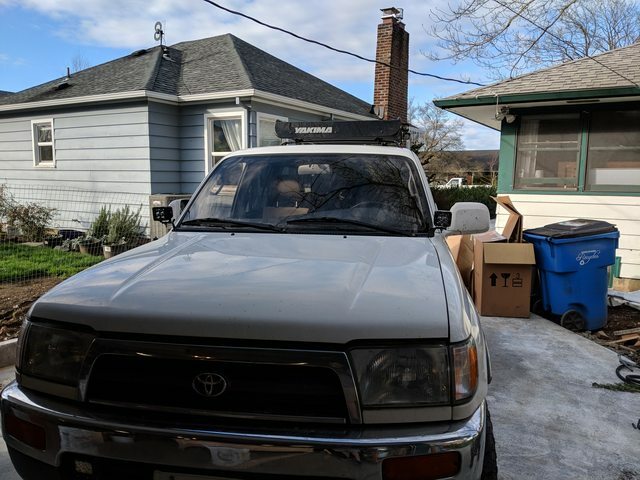 Late last year the wife and I were scheming of getting rid of two of my vehicles (96 Volvo 850 and 79 Toyota Pickup) and buy a new Taco. We settled into a responsible budget and were making progress toward a sizeable down payment. 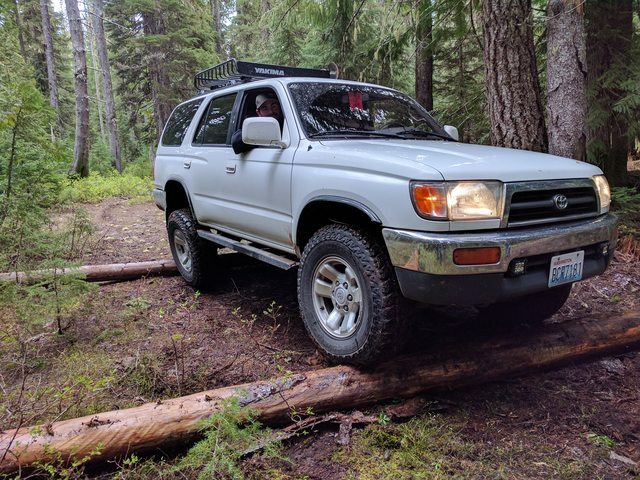 Then, a friend of mine decides to sell this 4Runner he'd had for a few years and done some work on. 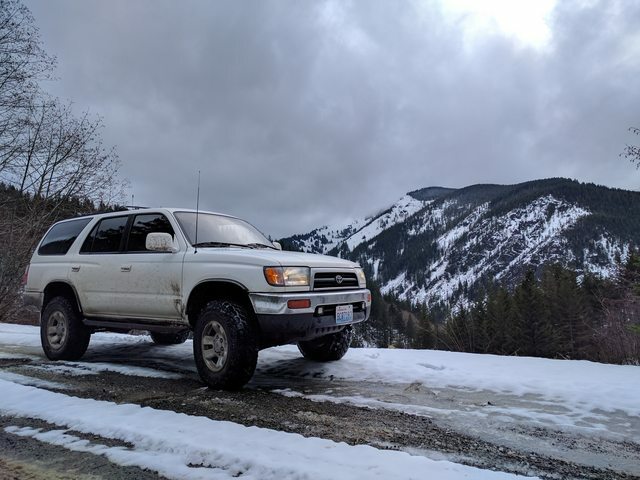 So, out with the plans for the Taco, and picked up this instead. All of the 'build' has been done by my friend, I've just inherited it at this point. Only real modification I've made was to switch to Contura switches for the e-locker and driving lights. Remember kids, don't text and drive! 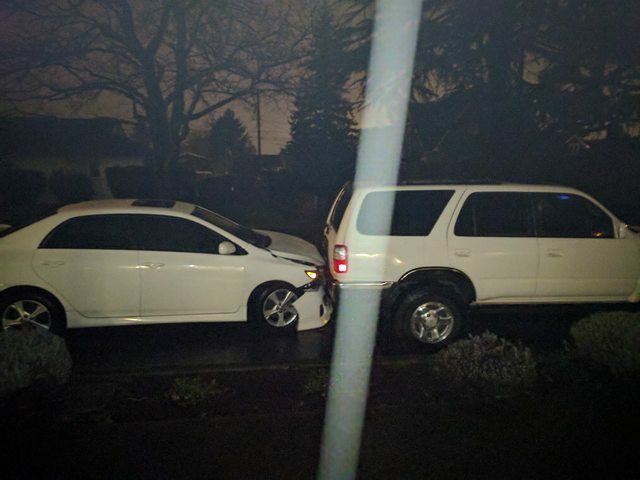 Was parked in front of my house, about 11:30pm a rainy early March evening. 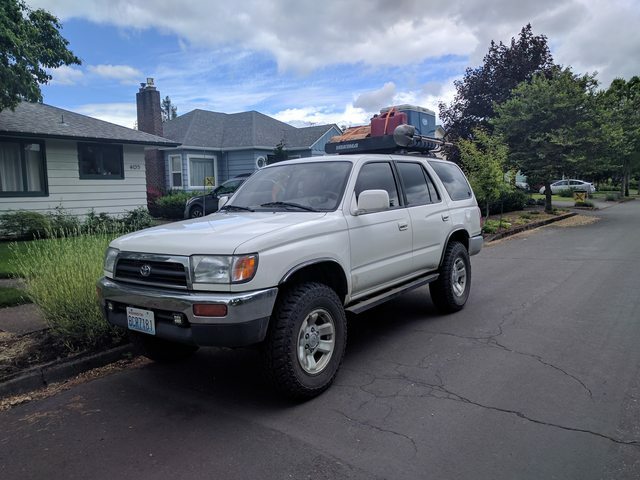 20-year old girl driving down the street, looking down at her phone, ran through the neighbors trash/recycling cans and straight into the back of the 4Runner She was going fast enough that she pushed it forward a little more than the length of the wheelbase. The hitch took all of the impact, but that resulted in the wrinkle in the frame at the front of where the hitch connects to the frame. Quote from the repair shop was $8200 to *replace* the frame. As expected, her insurance totalled it. 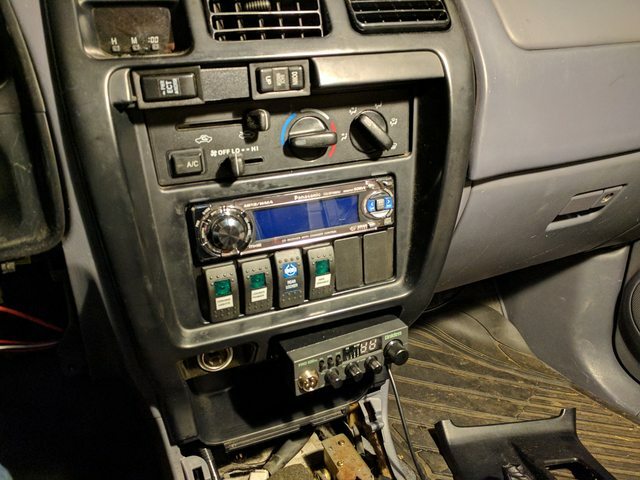 After the loan was paid off and I bought it back, I was left with a bit over $500 to set aside for having the frame straightened, when I finally sell off my Volvo and Pickup that will fund the rest of the repair. Other than that excitement, this thing has been rock solid for me. 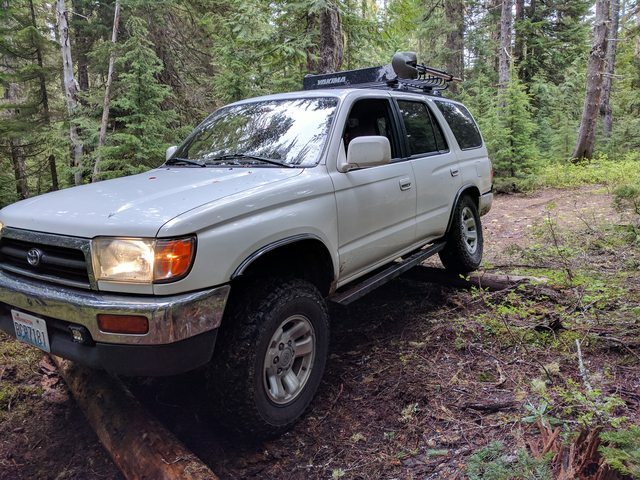 Have been able to take it out into the woods a handful of times, mostly overlanding trips, but a few where I got to flex it a bit. I don't really plan on building this thing up much more than it is. Owning an older home and having an almost-one-year-old daughter means there's no real budget to spend on that. 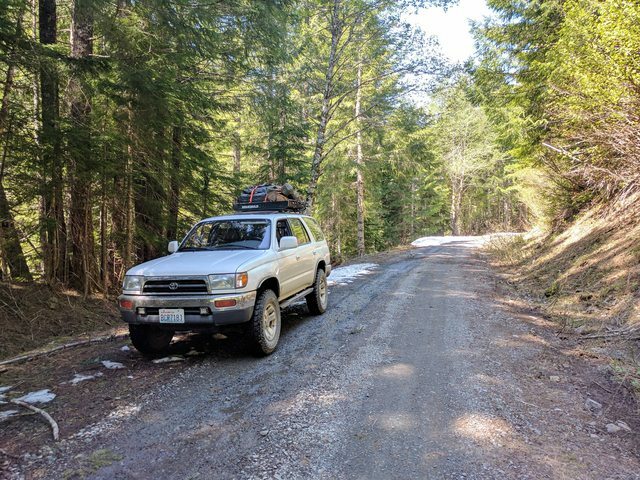 Hoping that I can convince the wife that a set of bumpers would be a good purchase, coordinating with having the frame repair done. Maybe show your wife this pic... then back off and say "well maybe I could just get away with a couple of bumpers?" 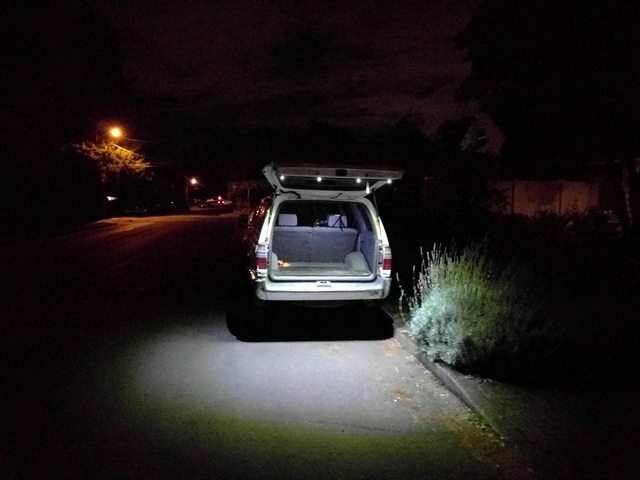 I replaced the overhead bulb (did the front one too) with a small LED panel that came with a bayonet base adapter, so my hatch lights tie into that, instead of having to cut any factory wiring. I ran two new wires alongside the existing harness and then tied that to the leads coming off the bayonet adapter. Pro-tip: the rear overhead bulb is a switched ground, not switched hot. haha.. that's pretty crazy bright. 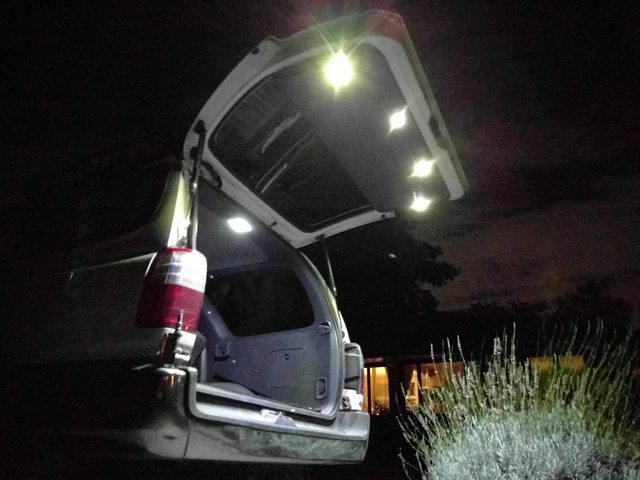 I love that you can get lights like that for such a low cost now. BTW.. 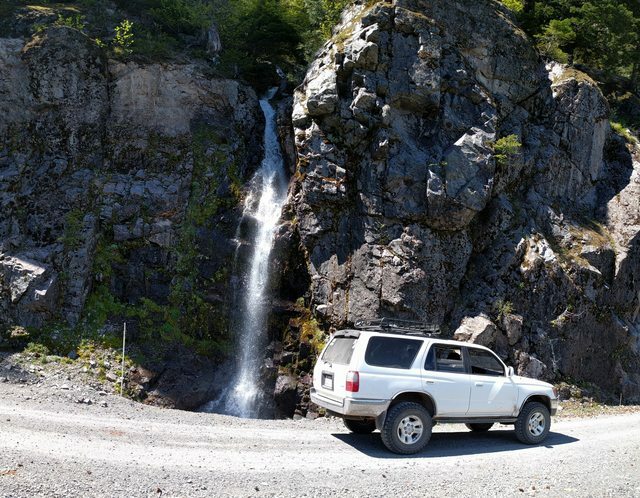 I love this generation of 4runner. I have one question for you. Does the digital clock work? 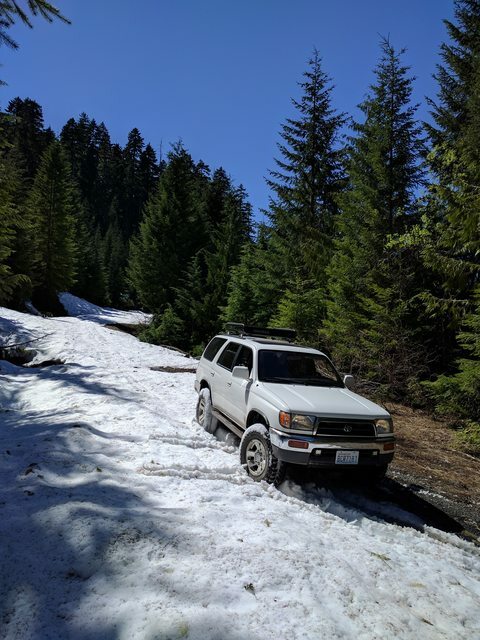 They never do on Tacomas. 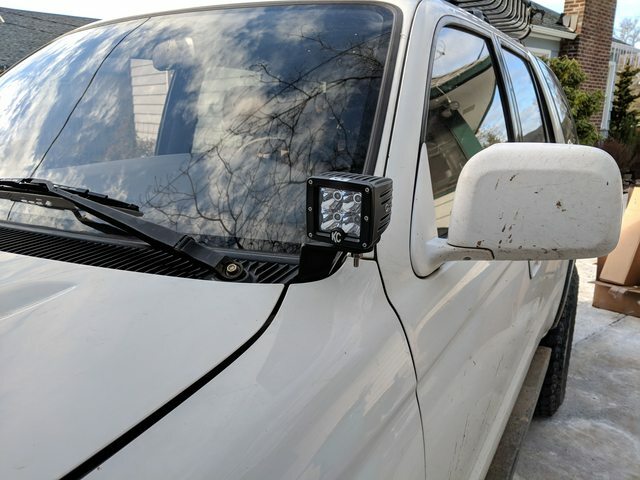 Got some ditch light brackets from the in-laws for Christmas, picked up a set of KCs to run on them (just can't bring myself to drop the $$$ on the Rigids), and finally got around to installing and wiring them up.